The seasons bring so many changes in weather, and teaching your child about the weather is fun and easy because you're surrounded by the changes: snow in the winter, rain in the spring and changing leaves in the fall. These are easy for your little one to understand because they can see, feel and even collect them, but other concepts, like wind, are a little more difficult for your toddler to wrap their mind around. One fun way to teach your child about wind is by flying a kite. This is such a great activity all children should experience, and it's also a fantastic opportunity to educate. 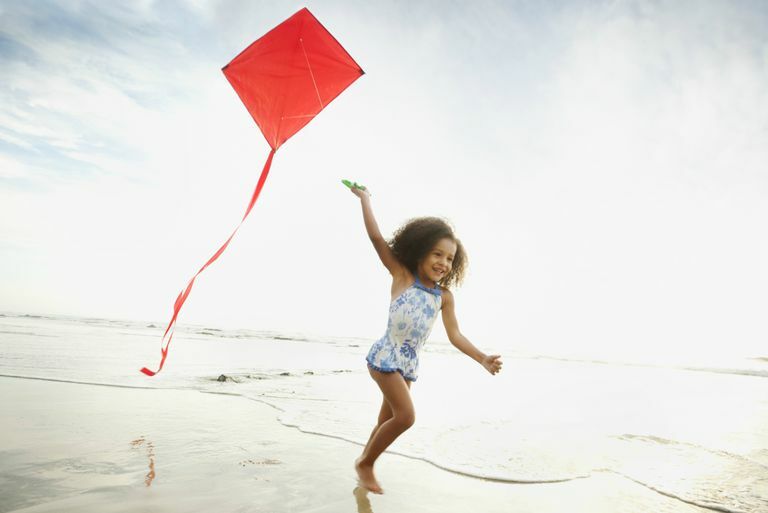 Kites tend to be difficult for toddlers to manage on their own, between the pull of the wind and their own strength. Of course, toddlers have barely mastered walking, so they can't get the running start necessary to launch a kite into the air. Be sure to supervise. If your toddler is too small for a kite, a good alternative is a balloon tied to a string. If you're out flying a kite with an older sibling, you might want to bring a balloon along so your toddler feels like they, too, are participating and experiencing the wind. As always, make sure to supervise closely and dispose of the balloon properly. It can become a choking hazard when popped or deflated. Other fun toys that will help teach your tot about wind include pinwheels, windsocks and batons or sticks with ribbons or crepe paper attached. Even a simple paper shopping bag is fun since it will blow open when held in the wind. Your toddler will really be able to feel the force of the wind pulling and offering resistance. You could also hang a wind chime or wind-powered whirligig on your porch or yard. In addition to being a nice decoration, it also serves as a visual and audible reminder of the power of the wind.